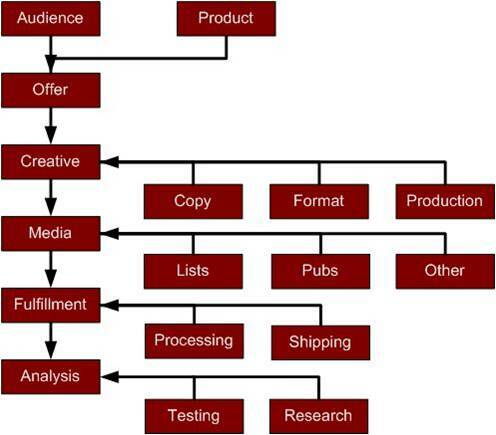 The following table includes the steps in the process of planning, executing and fulfilling direct marketing programs. It's important not to miss any of the steps, even though you may wish to change the order of some of the steps. Identify customer and the product to sell them. Select the media to use and place advertising. Process and track orders / inquiries.